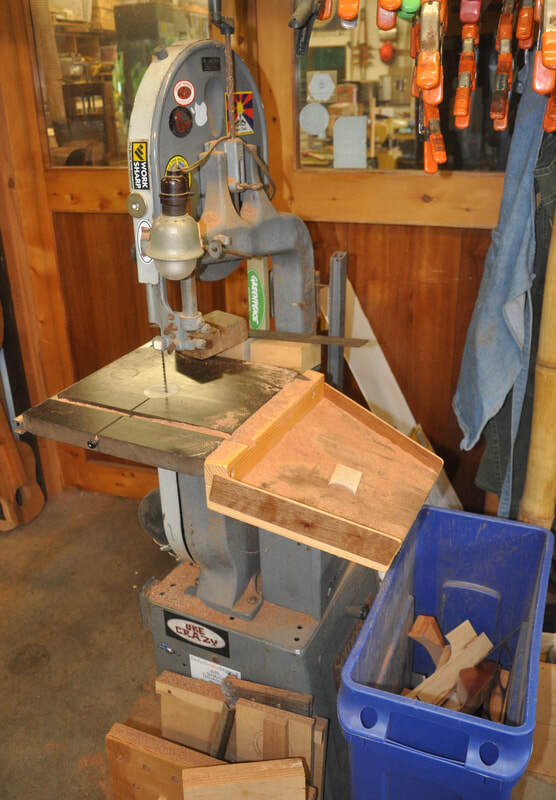 Bandsaws being notoriously messy machines, here is a way to keep some of the clutter off the floor. Make yourself a downward sloping chute attached to the rear of your table. It allows you to slide the offcuts easily into a bin. If you don’t use a fence on your saw, there are usually threaded attachment holes on the rear of the table where you can attach a chute. If you do use a fence, either remove the rear guide bar (not needed except for heavy resawing), or figure out a way to attach the schute below the fence guide. Works for me.